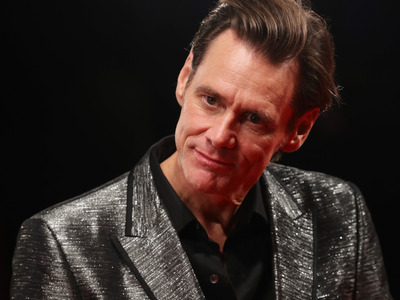 The actor Jim Carrey slammed Facebook CEO Mark Zuckerberg in a new portrait on Tuesday. Facebook has faced a torrent of backlash since reports over the weekend described how the data firm Cambridge Analytica illicitly obtained the private information of 50 million Facebook users. Carrey first parodied Zuckerberg in February, when the actor announced that he was dumping his Facebook stock and deleting his Facebook page, saying the social network “profited” from Russia’s interference in US elections. The actor Jim Carrey’s latest in a series of controversial portraits finds him once again taking aim at Facebook CEO Mark Zuckerberg. In February, Carrey tweeted a portrait of Zuckerberg with an announcement that he was dumping his Facebook stock and deleting his Facebook page, saying the social network “profited” from Russia’s interference in US elections. Facebook and its executives have faced a torrent of backlash since reports over the weekend described how the data firm Cambridge Analytica, which worked on Donald Trump’s 2016 presidential campaign, improperly harvested private information from 50 million Facebook users. On Tuesday, Carrey tweeted a black-and-white portrait of Zuckerberg beside an upside-down like button and a quote that was part of a leaked instant-messenger exchange Business Insider published in 2010. Carrey added, “Who are you sharing your life with?” and the hashtag #RegulateFacebook. “For a long time America enjoyed a geographical advantage in the world with oceans on both sides to protect it. Now, social media has created cyber-bridges over which those who do not have our best interest in mind can cross, and we are allowing it. No wall is going to protect us from that. Zuckerberg, who has not spoken publicly since the reports of the data mishandling, is set to break his silence on the Cambridge Analytica scandal soon.